As it’s Christmas I thought I would put some more FREE content for you and share some drills you can use with your athletes to improve their Skill. In all our syllabuses with our youth athlete group training programmes we spend 20 minutes developing skill, 20 minutes developing speed and 20 minutes developing strength. The skill section looks at balance, coordination and reaction speed. 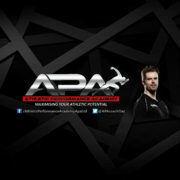 http://athleticperformanceacademy.co.uk/wp-content/uploads/2016/07/YoutubeChannelArt-1.jpg 1440 2560 dazdrake http://athleticperformanceacademy.co.uk/wp-content/uploads/2015/05/APA-Logo1-300x156.jpg dazdrake2016-12-16 15:32:452018-05-27 20:12:30FREE Videos for Christmas!